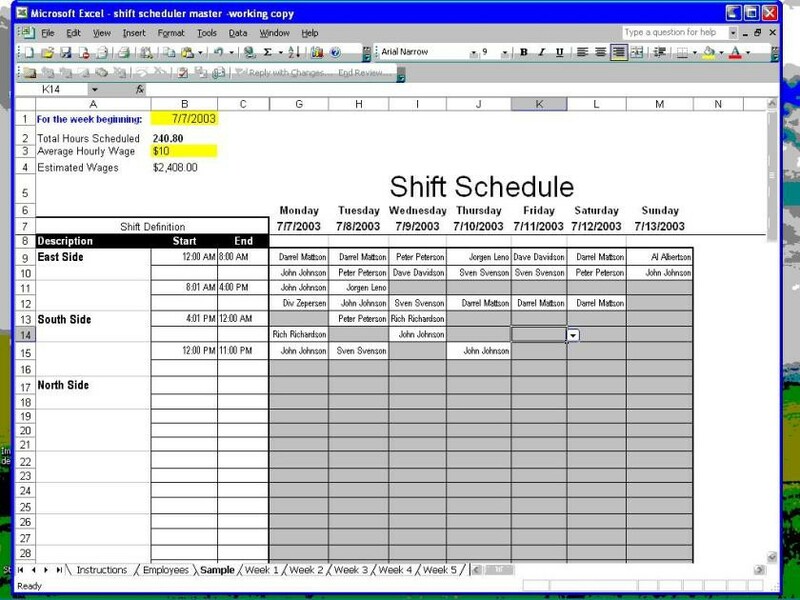 Shift Scheduler for Excel 1.2 is accounting & finance software developed by MakeSchedules.com. 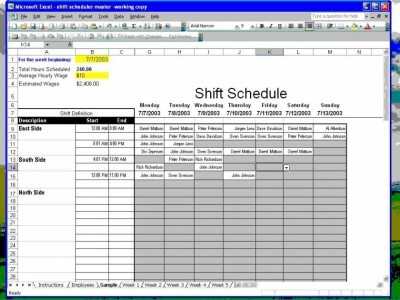 Shift Scheduler is a Microsoft Excel spreadsheet that creates employee schedules, and tracks the number of hours that have been scheduled. It's perfect for small businesses or departments where the manager is presently creating shift schedules with paper and pen, and for those who do not need the bells and whistles of more expensive scheduling solutions. Shift Scheduler for Excel 1.2 supports English interface languages and works with Windows XP/Vista. Latest Shift Scheduler for Excel 1.2 does not contain any spyware and/or advertise modules, allowing installing it with no worries concerning valuable information loss. We has completely tested accounting & finance software Shift Scheduler for Excel 1.2 many times, written and published the interesting article and uploaded installation file (20K) to our fast server. Downloading Shift Scheduler for Excel 1.2 will take several seconds if you use fast ADSL connection. Easy to learn staff and employee scheduling software.